· How do auditors shift through the mirage of data to find the golden nuggets? · What are the challenges and experiences of audit teams across local PNW companies? · How does the audit team convince others to share the data with them? · What type of training and skills are needed to mature your team’s digitization strategy? This will be an interactive discussion, so bring your questions for this annual joint event with ISACA and IIA. Aaron Suoja is the Sr. Director of Audit Services at T-Mobile. Aaron is responsible for Retail, Technology and Fin/Ops audit programs. This includes development of a risk-based audit plan, audit execution and reporting results to the Audit Committee. 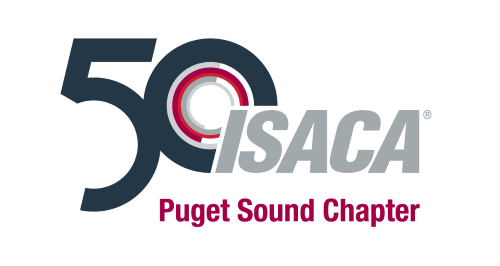 Aaron has served as both the ISACA Puget Sound Treasurer and President and is currently on the IIA Puget Sound Chapter Board. Angie has over 12 years of experience in progressive audit and accounting operations roles and has worked at Tableau since 2014. Angie spent 8 years at KPMG as an external auditor, and then moved into operational accounting roles, before joining the Tableau Internal Audit team. She holds a Masters and Bachelors in Accounting from the University of Washington and is a licensed CPA. Rachel Nelson is a business intelligence manager who supports data analytics for internal audit at Nordstrom. Rachel has a passion for learning and applying new tools and technologies. In 2018, she developed and executed a “Data Analytics Belt Program” to help internal audit principals increase their data analytic capabilities. She received her B.S from Bellevue University and holds over 40 licenses and certifications including SQL, RPA and Microsoft Office Excel Specialist. When she isn’t working, she enjoys spending time with her husband and daughter, scrapbooking watching Disney movies, and visiting Disney Parks. Krishna Sheshabhattar is an IT Audit Manager in Expedia group’s Corporate Audit Services team. Krishna holds an MBA in finance from University of Washington and an MS in Information Systems from Louisiana State University. Krishna has worked at Microsoft (Finance & Global Treasury) and PwC (Systems & Process Assurance) in the past.